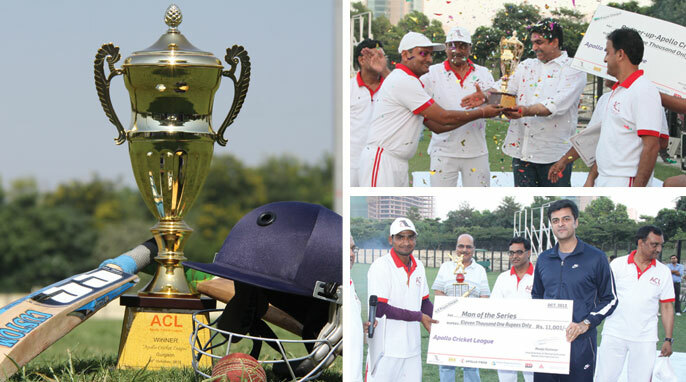 Apollo Cricket League (ACL) was held on 19th October, 2013 at Tau Devi Lal Stadium at Gurgaon. Mr. P.S.S. Prasad, whole time Director, Apollo LogiSolutions Ltd. inaugurated the tournament at 8 am. AFIL Bulls won the finals. Winning team was awarded with a stunning trophy and cash prize of Rs. 51,001. Apollo Titans was runners up and were awarded with a trophy and cash prize of Rs. 21,001.